Contents: 198g powder to mix as a drink. EnergyBalance ULTRA Collagen Type 1+3 is the most important structural substance in the human system, supplying up to 30% of the body's total protein needs. As soon as we turn 26, our bodies start to lose around 1% of its collagen per year. That changes the structure of our skin and we develop more wrinkles. Collagen also helps reduce diminishing skin thickness and elasticity, improves joint function, nails and hair and well as the body's contours. ULTRA collagen comes in an enzymatic amino acid form with a very low molecular weight that is fully absorbed by the body. 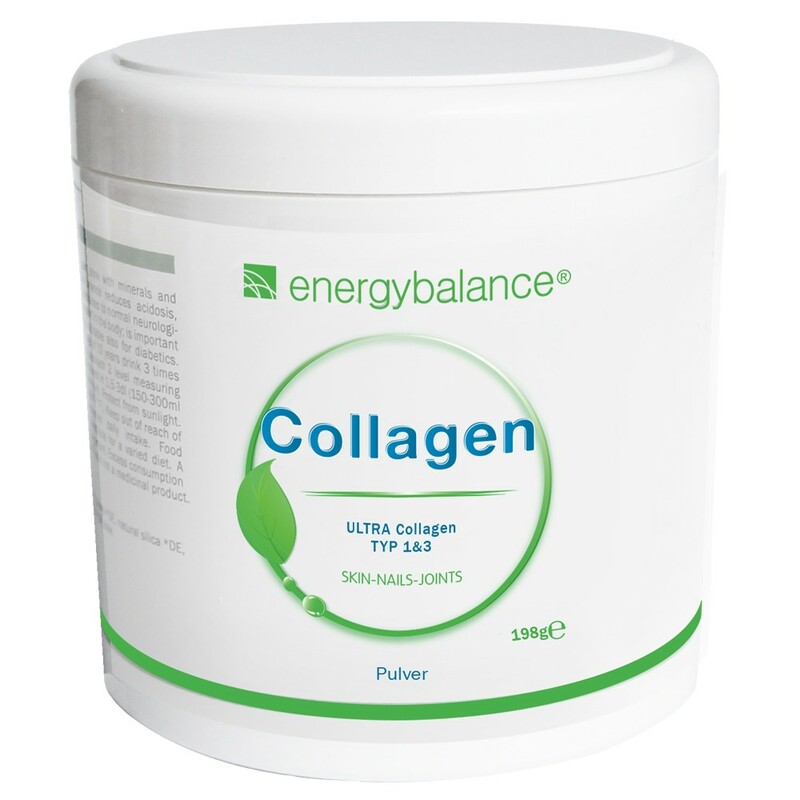 ULTRA collagen has a neutral flavor and is particularly easy to use in powder form. It works synergistically with vitamin C, which is why we recommend mixing it with orange juice. Dissolve one measuring spoon (included) of ULTRA collagen once a day with one spoon of water or orange juice; then add 150-200ml (1,5-2dl) or more liquid and stir vigorously. For the best results use a blender. For optimum nutritional benefits drink 1/2h before a meal on an empty stomach. 198g powder = 30 portions each 6600mg of ULTRA collagen.